New Release: My Dear Hamilton is Now Available! Dear friends! I’m just thrilled to share that my second historical novel is now available! 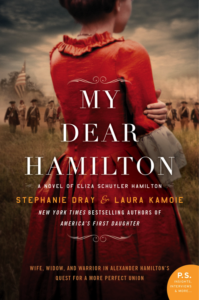 My Dear Hamilton tells the epic and largely untold story of Eliza Schuyler Hamilton, one of our most storied Founding Mothers. If you enjoy history, historical romance, or Hamilton: An American Musical, I think this is a must-read for you! Friends! Just a quick post to let you know that Stephanie and I teamed up with the amazing booksellers at Fountain Bookstore to bring you the opportunity to get signed and personalized copies of our new My Dear Hamilton! Stephanie and I are so excited to share all the amazing bookstores, historical sites, and other fine hosts for our upcoming national tour for the release of My Dear Hamilton! For more information, visit my Events page. We hope to see you along the way! 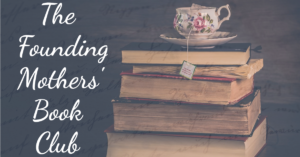 Get a Bonus Book for Preordering My Dear Hamilton!